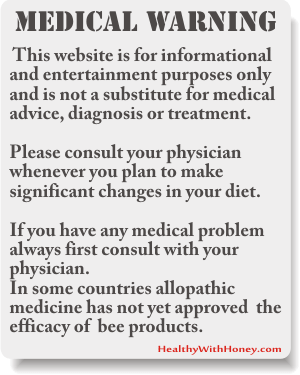 Take bee products with your medicine and especially take honey with your medicine. Honey, royal jelly, beebread – these are all products of the hive that are good alone, and amazing in combinations. This article talks about the enhancing effect of honey, royal jelly and beebread when taken with a chemotherapeutical drug to fight brain tumors. And it also helps in preventing and treating side-effects of chemo and radiation, as it is so well proved by LifeMel honey. And as a general rule, enriching honey with beebread or propolis will lead to higher antioxidant and antimicrobial properties of that honey. Combinations are the best! I mean, we all know that we function better in pairs or in groups. Animals function as perfect organisms in big families – think of bees or ants. And humans follow the same pattern. We live better in 2 or 3, and we make life easier while living in bigger communities, such as villages and cities. The point is that everything in nature follows the same patterns, and when comes to plants or remedies and their best functionality, combining them make them stronger. Honey is amazing by itself, but when combined with others – it enhances their power and creates stronger products. There are lots of examples, and lots of studies to prove it. Honey and onion, honey and cinnamon, honey and black seeds, or the classic mixtures for throat and cough with horseradish or black radish and the list is really long. Honey with bovine milk has stronger antimicrobial effect than honey alone or bovine milk alone. (as demonstrated by Al-Jabri et al. in 2005). In combination with some natural additives honey has superior results in its antibacterial, antifungal, and wound-healing promotion properties, compared to pure bee honey and some other topical wound agents alone. But honey also enhances the power of synthetic drugs. It’s the case of honey and gentamicin which have a stronger antimicrobial effect than honey alone or gentamicin alone. (as demonstrated by Al-Jabri et al. in 2005). This combination was studied against MRSA and clinical isolates of S. aureus and it even stopped the appearance of rifampicin-resistant S. aureus in vitro! Another study have expanded the investigation and showed the effect of manuka honey on multiple S. aureus strain, when combined with four different antibiotics commonly used to treat S. aureus-related skin infections: rifampicin, oxacillin, gentamicin, and clindamycin. 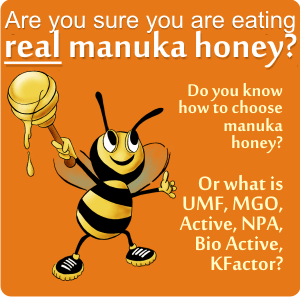 The tests demonstrated that manuka-type honey combined with these four antibiotics frequently produced a synergistic effect. And when this synergism was not observed, there was a significant enhancement in antibiotic susceptibility. Some strains that were highly resistant to an antibiotic when present alone, become sensitive to clinically achievable concentrations when combined with honey. 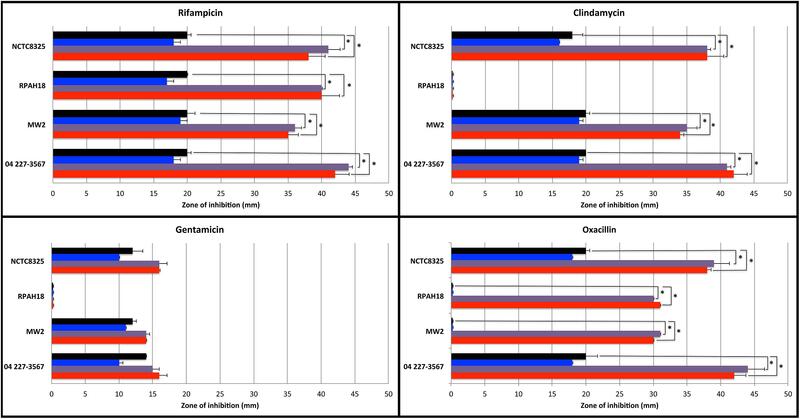 However, while for all tested S. aureus strains, the rifampicin-honey combination is the most promising, with synergistic inhibition observed for both planktonic growth and biofilm formation, not all of the S. aureus strains tested responded in the same way to these combinational treatments. Here is the table showing the sensitivity of Staphylococcus aureus strains to antibiotics used alone and in combination with Manuka-type honeys assessed by agar disk diffusion assay. The researchers’ findings support the use of NZ manuka-type honeys in clinical treatment against S. aureus-related infections and extend their potential use as an antibiotic adjuvant in combinational therapy. Temozolomide (TMZ) is a common oral chemotherapy drug used to treat certain types of brain tumors, such as diffuse astrocytoma – which are slow growing brain tumors, typically occurring in adults between the ages of twenty and fifty, and human glioblastoma multiforme – the most common malignant primary brain tumor, aggressive in most of the cases. • The study The interaction of bee products with temozolomide in human diffuse astrocytoma, glioblastoma multiforme and astroglia cell lines, from 2014, conducted by Borawska MH et al., from Medical University of Bialystok, Poland, analyzed the effects of TMZ alone and with certain bee products on brain tumors and on healthy brain. They used honey, beebread and royal jelly from willow (Salix spp.). 1. TMZ (20 μM) in combination with honey (30 μg/mL), beebread (50 μg/mL), and royal jelly (30 μg/mL) has stronger cytotoxic activity on human glioblastoma multiforme cells (the aggressive brain tumor) after 72 h.
2. The use of bee products may increase the cytotoxic effect of TMZ in aggressive brain tumor (human glioblastoma multiforme cells) but also in normal human brain cell line! (if TMZ is present, honey will enhance its power of killing even the healthy cells). – NF-κB p50 subunit (a protein complex that controls transcription of DNA) was reduced after treatment with salix honey (70.9%) and salix honey + TMZ (74.7%). – A significant decline of MMP-9 and MMP-2 secretion (enzymes involved in the degradation of the extracellular matrix) was detected after incubation with beebread (42.9% and 73.0%, respectively) and beebread + TMZ (38.4% and 68.5%, respectively). To be noticed that the effect of beebread alone is even higher than when combined with TMZ. For those of you who don’t know exactly what beebread is, well, it is exactly this: the bread of the bees. But not for all bees. Only for their children and youth! • Another study from 2014 called “Polish natural bee honeys are anti-proliferative and anti-metastatic agents in human glioblastoma multiforme U87MG cell line.“, conducted by the same Moskwa J et al. from the Medical University of Bialystok, Poland, investigated the anticancer effect of different honeys from Poland on tumor cell line – glioblastoma multiforme. Honey showed a potent anti-proliferative effect being effective at concentrations as low as 0.5% (multifloral light honey – viability 53% after 72 h of incubation). But its effects were enhanced when combined with the conventional chemotherapeutic drug TMZ, a strong inhibition of MMP-2 and MMP-9 for the tested honeys (from 20 to 56% and from 5 to 58% compared to control, respectively). Their conclusion: Polish honeys have an anti-proliferative and anti-metastatic effect on U87MG cell line. 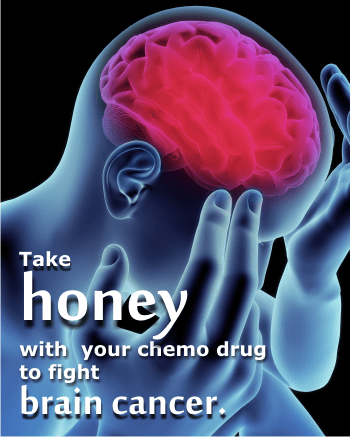 Therefore, natural bee honey can be considered as a promising adjuvant treatment for brain tumors. Also read: Is honey a natural treatment to cancer? 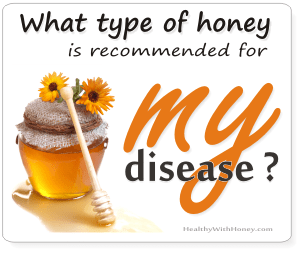 There are other studies that have shown the anticancer effect of honey, even taken alone. Here is an example: Gelam honey makes the cancer cells commit suicide! It’s not redundant. While their composition is somehow the same, it’s not identical and a bee product can enrich another one in some lacking compounds. Among beekeepers it is a common practice to mix honey with propolis extract, royal jelly or pollen. And I have always considered this only a way of inventing new products to bring more money. But even if it started from this, all these combinations proved to work better than the products alone. A study from February 2017, Functional properties of honey supplemented with bee bread and propolis, by Kowalski S et al., from the University of Agriculture in Krakow, Poland, proved exactly that. The researchers enriched honey with beebread and propolis (ethanol extract of propolis) and investigated these fortified honeys considering their total phenolic content, radical scavenging activity and ferric reducing antioxidant power and also their effects on the micro-organisms growth. Beebread had the most significant influence on antioxidant properties. All tested honeys showed antibacterial activity against Escherichia coli, but not against Micrococcus luteus. Honeys with 1% of propolis addition were the most effective against Micrococcus luteus. The conclusion of the study: To boost the antioxidant and antimicrobial properties of honey, it is beneficial to enrich it in both beebread and propolis. 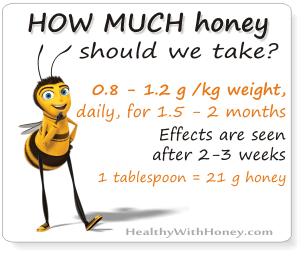 Conventional drugs, as well as natural remedies are more effective when they are combined with honey. 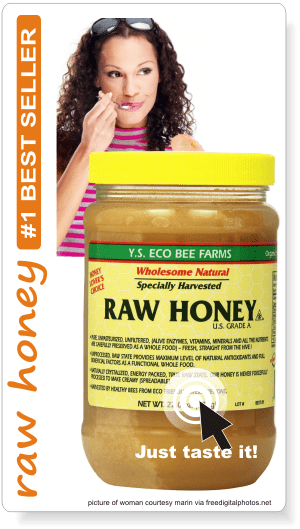 Take raw honey with your pills and sweeten your tea or your coffee with raw honey and the effect will be stronger. Have you found any that works for you?